I made a 6 section textblock to copy what we are doing in class, and will continue this next week, with mill board covers. I am going to make some pasted papers to use as covers. 14th October: Today Subs left for Glastonbury where his band are doing a gig in a big pub there. It was a lovely sunny autumn day today. I had some time to make some pasted papers. This time I used methyl cellulose which I bought online, it’s easy to mix up, you add hot water and mix well, when you add the cold water it gets really thick. I mixed up some with various colours to make some more pasted papers for our new book. I wanted something more unusual so I drew paint on with a ceramic tool and I had made a block with string folded around. 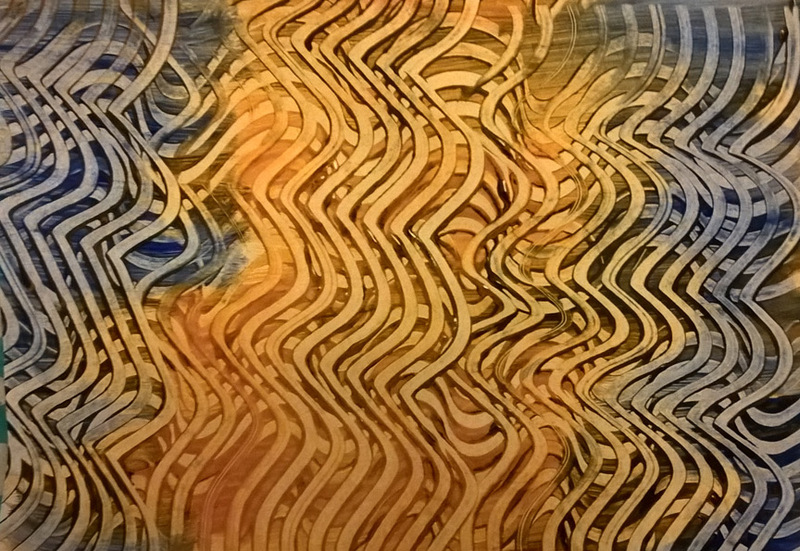 This is a bit of a mess using orange, blue and black paint and the tiling tool worked in various directions. I also made a textblock to copy what we are doing in class, namely an 8 section book with full casing. 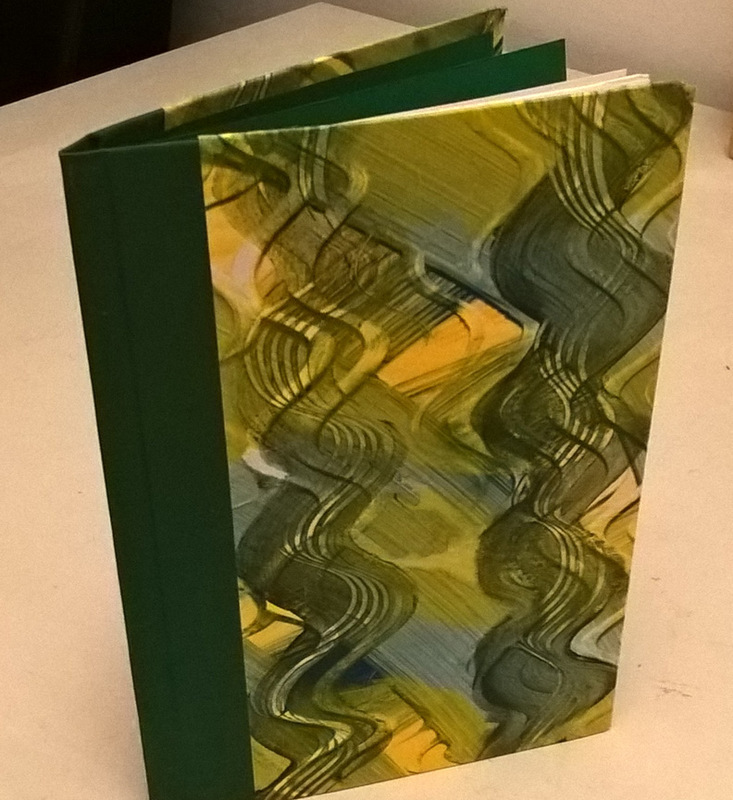 Here is the finished book, albeit the inner textblock is skewed! I should have checked the squareness of the block before glueing it into the case. 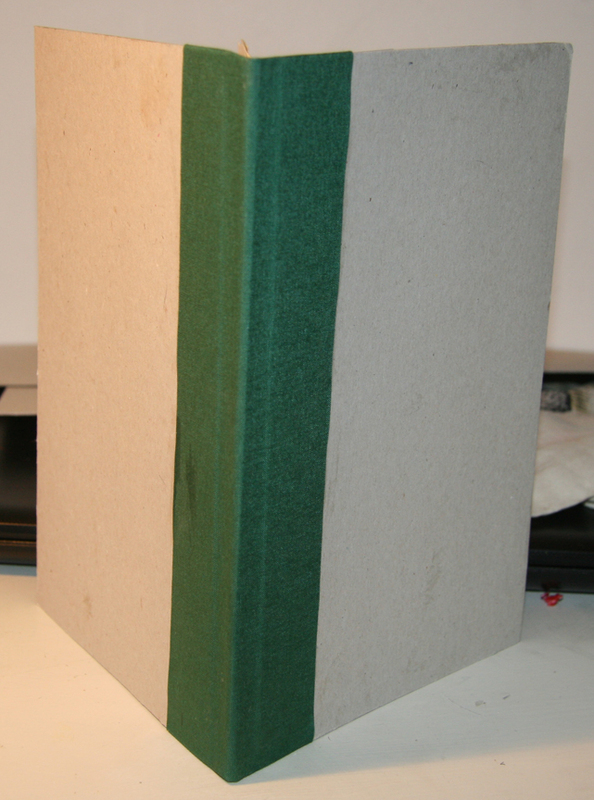 I made a single section book as far as we got in the class in Week 3 – which is up to attaching the board and book cloth. I couldn’t find my fraynot so had to use normal paper to strengthen the spine. The paper is Snowden cartridge from Paperchase, with green coloured paper also from there, 4 leaves of paper cut with the grain downwards. The bookcloth was a bit skewed and the papes of the block weren’t even, as I didn’t think to cut them square – never mind – it was a trial only. 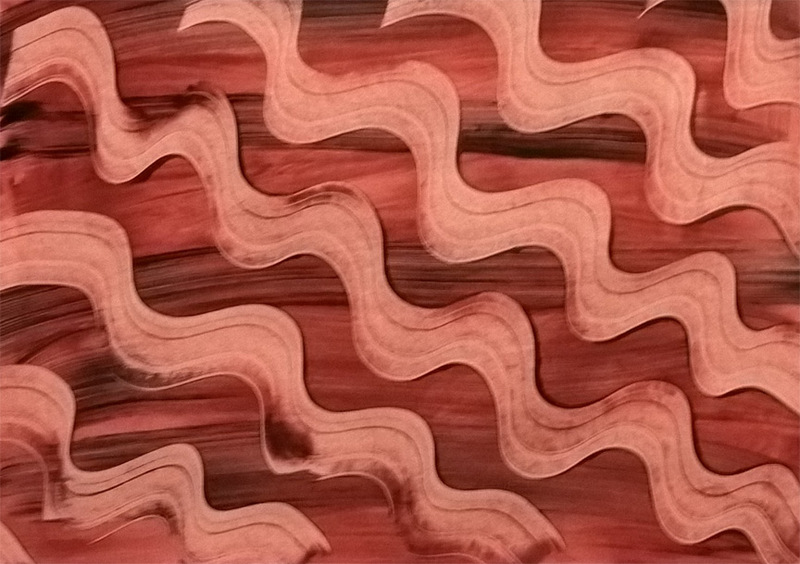 I also made some paste paper today, using sponge blocks onto dry and wet paper. I also added some colour to previous paste papers. I used the wallpaper paste that I mixed up before. I added some colour to the last made papers too, the ones on the right. The left side ones only had paint added using sponges, this was an experiment. 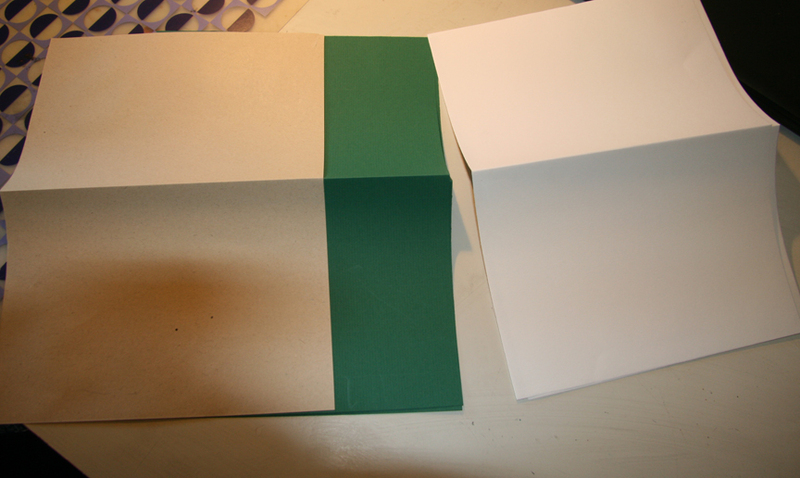 29th September: I tried to make paste paper with the japanese glue, it was okay but not as good as that we used at the city lit with methyl cellulose, so I have ordered some online as well as a pair of dividers. 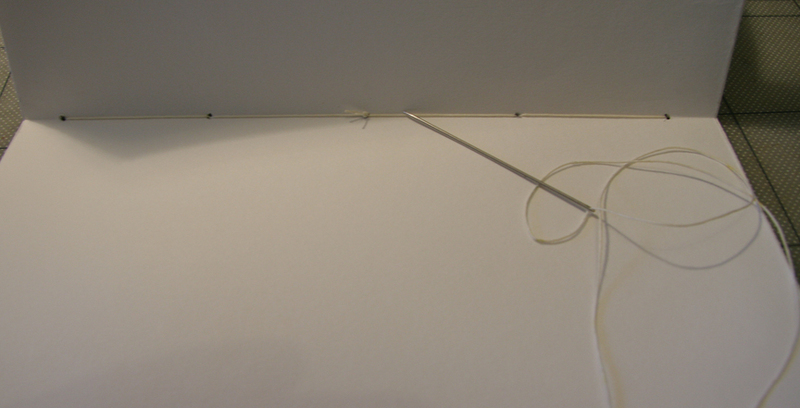 20th September : It’s time to start a sketchbook of ideas, photos, drawings for my bookbinding projects. I will start this week and post images here too as well as in a sketchbook. My first project is to make some paste painted paper for book covers, using tools and leaves, feathers, etc. 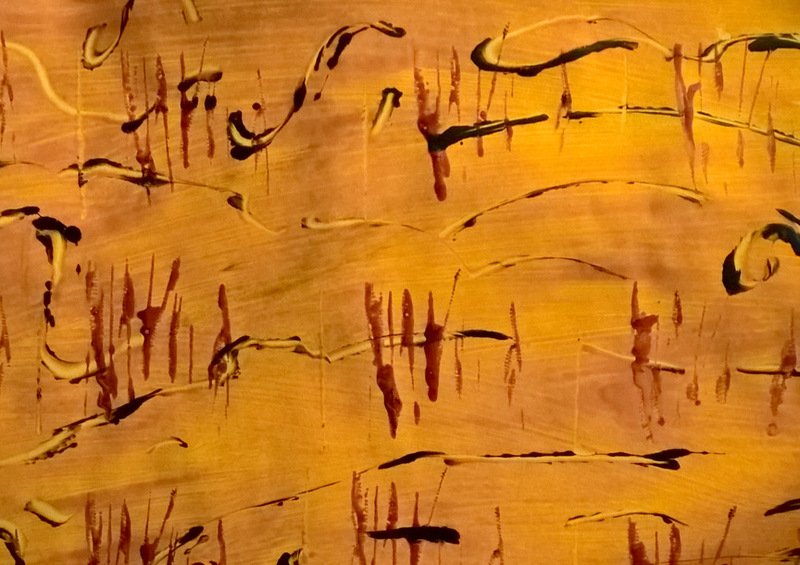 Using cartridge paper, Japanese rice glue and acrylic paint.